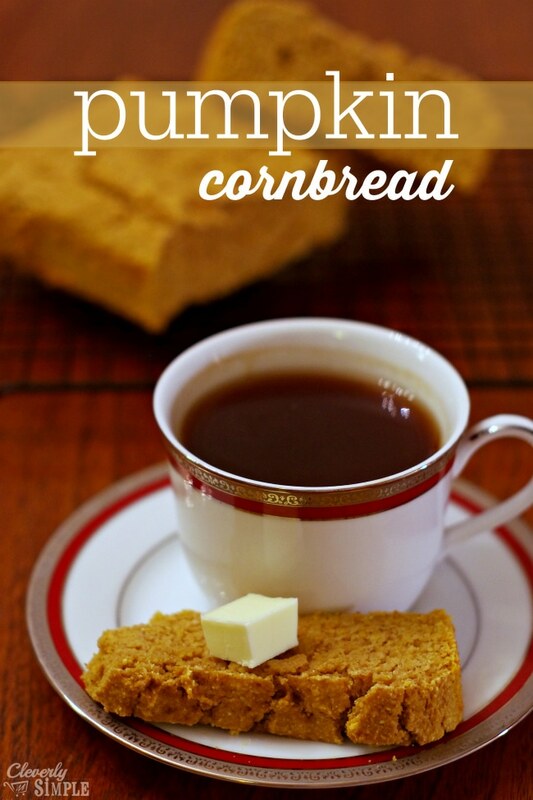 I am excited to share with you the pumpkin cornbread recipe that has become a family favorite! When I woke up this morning, I immediately felt a cool breeze coming through our bedroom window. Autumn is definitely on its way in NW Ohio! 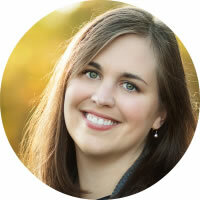 I had a smile on my face because these next few weeks cultivate cool temperatures, golden sunsets, changing colors, favorite sweaters, farmers in the field and baked goods with autumn inspiration. Practically any cookie, bread, cake or pie can be given a harvest twist this time of year. Spices like cloves, ginger, allspice and nutmeg and fruits and veggies like squash, pumpkin or cranberry can all inspire us. 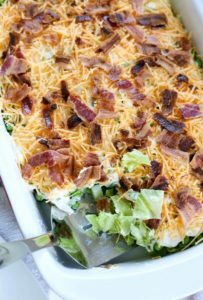 Simply add them to your favorite recipe and get ready to jump into those leaves! Today I’m going to show you how to transform a normal old cornbread into a fantastic autumn inspired side with a touch of pumpkin and spice. Pair it with a hot bowl of soup, a plate of salad or a cup of ginger tea for a hearty morning breakfast. 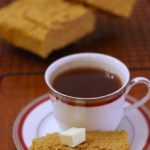 This original harvest cornbread recipe comes from Lindsey Nixon, also known as “The Happy Herbivore.” Her recipes are simple and healthy. They also adapt well and you all know how I love to adapt! 🙂 Instead of taking the savory approach to her bread, I’m making mine with a maple twist by adding maple syrup and dark brown sugar – but just a touch. You don’t want your cornbread to taste like dessert. I also added in pumpkin pie spice and left out the sage. 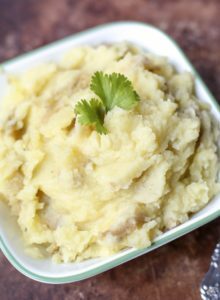 Behold, a delicious AND simple (no mixer needed!) 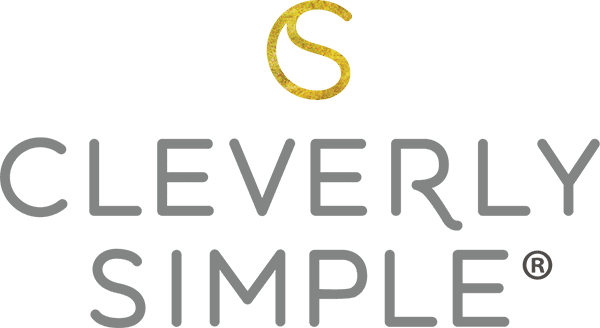 harvest cornbread….Come on in to my kitchen! Here are the ingredients. 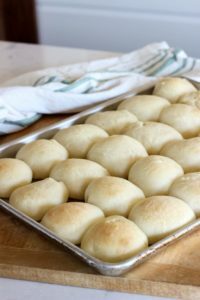 There is certainly more to this bread than a jiffy box and milk, but trust me, you can whip this batter up in less than 5 minutes. You’ll need flour (any kind), quality cornmeal, baking powder, salt, milk (any kind), pumpkin, maple syrup, dark brown sugar and pumpkin pie spice. You will also need a greased bread pan or deep pie dish. Start by getting out two bowls: one for the dry and one for the wet. 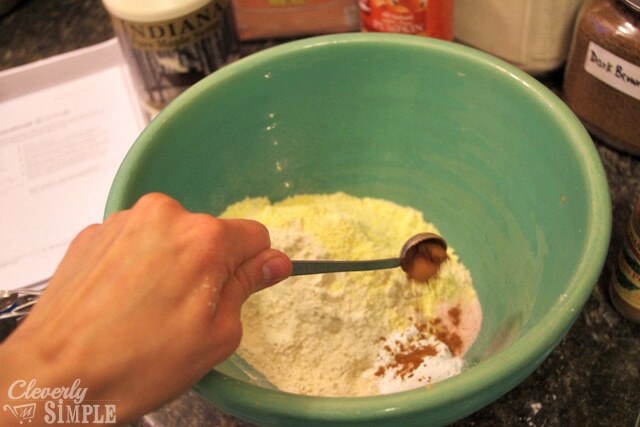 In your dry bowl, add 1 cup of flour. Lindsey’s recipe calls for white whole-wheat flour, but I’m sure regular all-purpose flour will do. You will also use 1 cup cornmeal. As I mentioned before in my recipe for cornmeal pizza crust, good quality cornmeal is worth the price! My favorite brand is Hodson Mill. 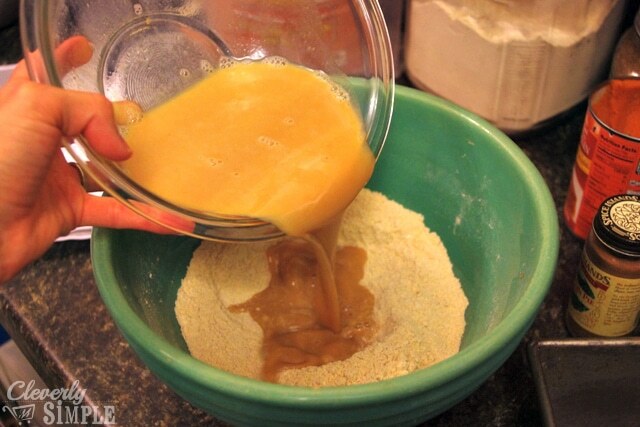 Add in 1 Tablespoon baking powder, ½ teaspoon salt and ½ teaspoon pumpkin pie spice. Whisk it all together. In your wet bowl, pour in 1 cup milk, ¼ cup canned or homemade pumpkin, 2 Tablespoons dark brown sugar and ¼ cup maple syrup and whisk. Note: If you are going to use homemade cooked pumpkin, you will need to add a bit more flour to the batter because the homemade stuff, though tastes amazing, has more water content. Now comes the fun part…Pour your wet bowl into your dry bowl and stir to combine. Now would be a great time to add some toasted walnuts or pecans for even more harvest flavor! The batter should be relatively thick. Scrape it into your greased pan or pie dish and pop it into a hot 400 degree oven. This bread only needs to bake 20-25 minutes when a toothpick inserted in the center comes out clean and the bread is firm to the touch. So, from start to finish, you can have delicious harvest cornbread in 30 minutes or less! Let the bread sit for about 5 minutes before removing it from the pan. 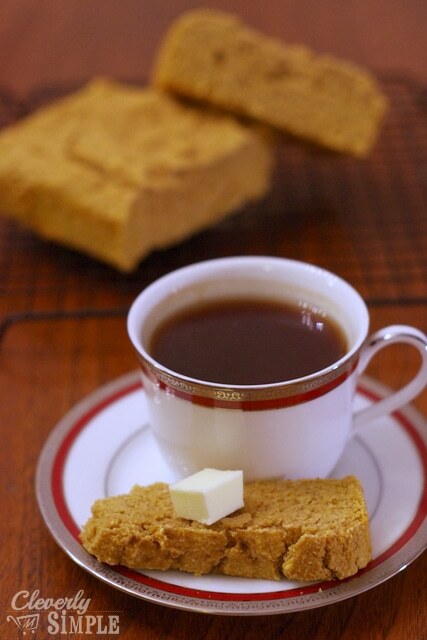 Slice and taste…it’s slightly sweet with hints of pumpkin and spice and has a bit of crunch on the outside. Take one bite and I guarantee you will be energized to go outside and savor the coming of autumn. A twist on traditional cornbread using pumpkin! Get out two bowls: one for the dry and one for the wet. In your dry bowl, whisk together 1 c.white whole wheat or all-purpose flour, 1 c. cornmeal, 1 T. baking powder, ½ t. salt and ½ t. pumpkin pie spice. 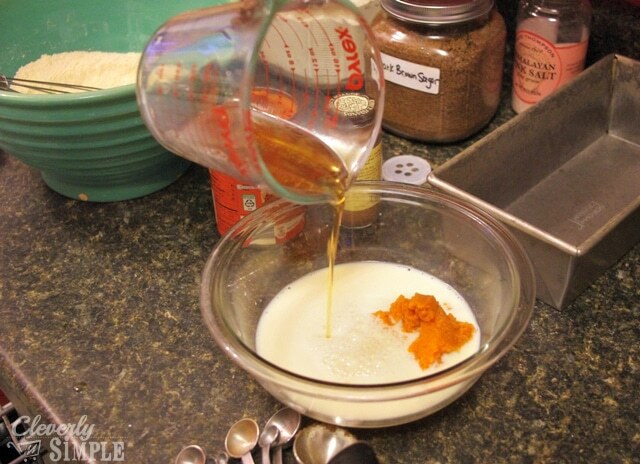 In your wet bowl, whisk together 1 c. milk, ¼ c. canned or homemade pumpkin, 2 T. dark brown sugar and ¼ c. maple syrup. 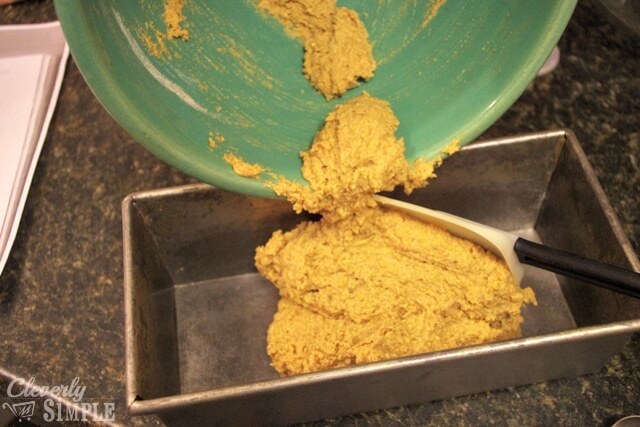 Note: If using homemade cooked pumpkin, you will need to add 2 T. more flour to the batter. Pour your wet bowl into your dry bowl and stir to combine. 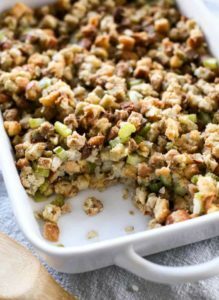 Scrape the batter into a greased pan or pie dish and bake 20-25 minutes when a toothpick inserted in the center comes out clean and the bread is firm to the touch. Let the bread sit for about 5 minutes before removing it from the pan. My kids will EAT this up!! I’m a southern girl- so no sweetness in cornbread for me, but I live in the west now and my husband and kids love love love sweet cornbread. Thanks! This looks delicious, I am definitely going to try this! Question; is it completely necessary to use dark brown sugar or can you substitute light brown sugar. I’m not much of baker so I don’t really understand the science of it. Yes! I’ve used regular brown sugar as well. It works just fine.